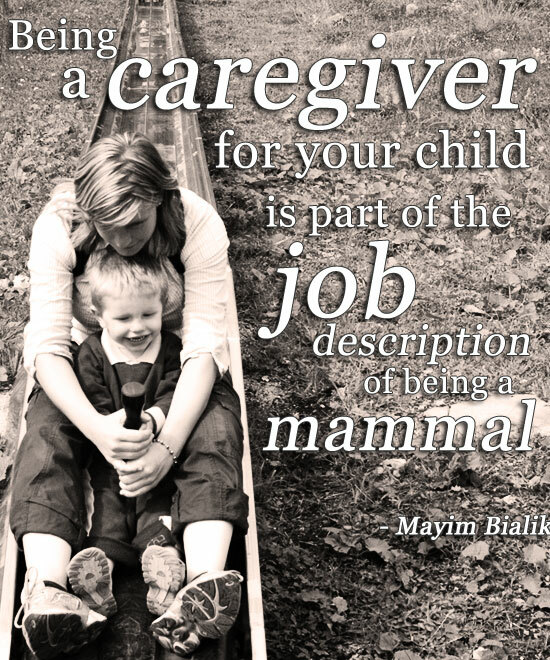 Being a caregiver for your child is part of the job description of being a mammal. I chanced upon this quote while researching for my article about attachment parenting, and it really stuck with me. It's from an interview with the Big Bang Theory star for Time Magazine (source). Do you have any favourite quotes about motherhood that you'd like to see appear as a "Sunday Quote"? Please feel free to make any suggestions by leaving a comment below. Photo credit: Y, via Flickr. Modified by Glamumous.